This is Kathy Osterhage Carpeaux, class of 1967. I wanted to let you know of a death in our family. My sister, Mary Ann Osterhage Shea, class of 1964, lost her youngest daughter, Patricia Ann Wilson, on Aug. 9, 2014. She passed away unexpectedly at her home in Houston, TX. Patty leaves behind her husband and four children. She was buried in Memphis, TN on Aug. 15. Please ask the alumnae to remember Mary Ann, Patty’s husband and children, her three sisters and their families, and all of us in their prayers. 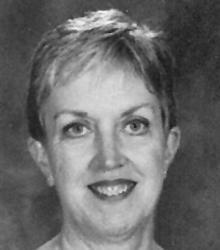 Therese E. Raymond, 70, passed away on August 17, 2014, in her home. She was born in Toledo on October 11, 1943, to Paul and Mary Elizabeth (Taylor) Raymond. Terrie was a graduate of St. Catherine of Sienna Elementary School, St. Ursula Academy, Mary Manse College, and The University of Toledo. Prior to her retirement, she was employed as an educator for 40 years. She taught at St. Catherine of Sienna Elementary School and St. Joseph of Sylvania Elementary School where she also served as assistant principal. Terrie enjoyed relaxing on her deck and admiring the garden that she created while watching the many birds that were attracted to her flowers, especially Hummingbirds. She was an avid Detroit Tigers baseball fan and also enjoyed making greeting cards for all occasions, scrapbooking, reading and solving crossword puzzles. Terrie especially enjoyed taking trips with her sisters, hosting family gatherings, and spending time with those she loved. She cherished many special times spent with her nieces and nephews all of whom were an important part of her life. She is survived by her loving family; sisters, Mary (Den) Brockway of Meridian, Idaho, Patricia Fast of San Jose, California, Bernice (Gene) Wood of Little River, South Carolina, Jane (Richard) Borer of Temperance, Michigan, Paula (Dan) Neary of Toledo, Peggy Len of Orlando, Florida; nieces and nephews, Sheila (Ed) Cunningham, Kate Brockway, Aaron (Challee) Fast, Mary Helen (Bobby) Ashburn, Lisa Gonzalez, Dr. Chris (Jennifer) Gonzalez, Jennifer (Brad) McMonigle, Julie (Aaron) Weeks, Marty (Meredith) Borer, Greg (Lauren) Borer, Kelly (Todd) Brenner, Dan (Linda) Neary, Mary Beth (Rachel Ellison) Neary; 27 great-nieces and nephews, 1 great-great- nephew; many cousins and a very special neighbor. She was preceded in death by her parents, grandparents, aunts, uncles; brother-in-law, Larry Len and close friend, Fr. Gary Miller. Her family wishes to extend special thanks to Dr. Tim Kasunic, Dr. Sunjiv Bais, the Toledo Clinic physicians who helped her throughout her 7 year journey with cancer as well as Mary Beth and Rachel for the wonderful and loving care that they gave her. Special thanks also go to the staff and caregivers at Hospice of Northwest Ohio, Terrie’s nurse, Angel and friend, Mandy Moore, for the excellent care that she received. 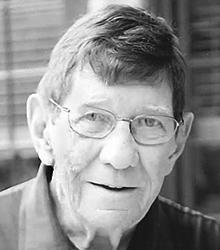 James T. Bauer, 86, passed away peacefully on August 7, 2014, at The Manor of Perrysburg. Jim was born in Toledo, Ohio on August 2, 1928, to Joseph L. and Alice (Cunningham) Bauer. Jim graduated from Central Catholic High School and attended Notre Dame University. He most recently worked for Lucas County as a Civil Engineer, retiring at the age of 73. He was a Land Surveyor for several years at various private engineering and surveying companies. Jim was a member of the Professional Land Surveyors of Ohio. In his early years, he was a member of the barber shop quartet, participated in singing competitions and the church choir. Jim enjoyed camping, computers, and spending time with his children and grandchildren. He was an avid Notre Dame football fan! He was a founding member of St. Patrick’s of Heatherdowns Church and was responsible for the survey and layout of the church, school and gymnasium buildings. He and Josephine loved to volunteer for many church activities together. Jim was preceded in death by his wife, Josephine; his parents, and his sister, Nancy Lonsway. He is survived by his children, Daniel (Christine) Bauer, Ruth (Rickie) LaPoint, Thomas (Loretta) Bauer, Jean (Alan) DeMania, Lawrence (Nancy) Bauer and Anne (Joseph) Feck; 20 grandchildren, and 14 great-grandchildren. Friends may visit at the Coyle Funeral Home, 1770 S. Reynolds Rd. on Wednesday, August 13 from 2:00-8:00 p.m., where a Vigil will be held at 7:00 p.m. Funeral services will begin in the mortuary on Thursday, August 14, at 9:30 a.m. followed by the Funeral Mass at St. Patrick of Heatherdowns Church at 10:00 a.m. Interment will follow in Resurrection Cemetery. Mary U. Kerscher, age 96, died August 6, 2014, at the Parkcliffe Community where she resided for the past 5 1/2 years. 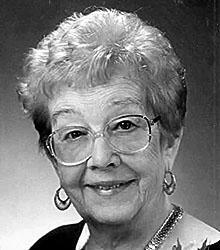 Mary was born in Toledo on March 8, 1918, to Rudy and Marie Beckman. She was a 1936 graduate of Central Catholic High School. Mary married James C. Kerscher on October 26, 1940, and they celebrated 70 years of marriage before his death in 2010. Mary was a faith-filled woman with a very special devotion to the Virgin Mary. She was an active member of Our Lady of Perpetual Help Church and served on the Altar and Rosary Society and was part of the Altar Care group. Any special needs were prayed for with her never ending Rosary Novenas. Mary dearly loved her family, grandchildren, and great-grandchildren. She was a beautiful seamstress and always made sure her daughters had the latest fashion. She looked forward to her weekly bridge games with her dear friends and made a mean sandwich with her “grind-up” concoction. Her salads were fabulous. There was always ice cream in her freezer and chocolate sauce, cherries, and whipped cream to make a sundae for whoever stopped to visit. You could always find Jim and Mary on the front porch on So. Detroit watching the cars go by. Mary was a member of the Maumee Senior Center where she enjoyed participating in a weekly bridge group and other activities with her many friends. Mary was a beautiful lady who will be missed by so many. Mary is survived by her son, James E. (Lynda) Kerscher of Rome, GA; daughters, Susan (Joseph) Meyers of Toledo and Sally (Tony Horn) Kerscher of Bellevue, KY; grandsons, Mike and Craig Kerscher, and Jamie and Jon Meyers; great-grandchildren, Evan, Jay, Matthew, Mitchell, Tim, and Harper Lyn; and sister, Dolores Morris of Charlotte, NC. In addition to her husband, Mary was also preceded in death by her twin sister, Ruth Schlachter, and brothers, Edwin, Bernard, and Vincent Beckman. Mary’s family would like to thank the wonderful caregivers at Parkcliffe for the compassionate and loving care that they gave to Mary and also to the aides and nurses of ProMedica Hospice. You are all beautiful. John J. 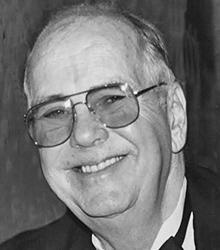 “Jack” Driscoll, age 82, of Maumee, passed away peacefully on July 27, 2014, while surrounded by his family. He was born to John and Margaret Driscoll on December 22, 1931. He served his country proudly in the U.S. Army during the Korean and Vietnam wars. Jack made the military his career serving, until the time of his retirement, where he achieved the rank of Major before his honorable discharge. He married the love of his life, Alice Gerstner, on September 22, 1956, and together they raised 4 children. Jack spent his career working as a Computer Analyst, until he retired in 1995, from The Toledo Hospital. He was a member of the Maumee Elks, Beyond Grief and the American Legion Post #646. Jack was very active in the Legion for the last ten years, until the time of his death, where held such honors as Bar Chairman, First Vice and was a 4 time Past Commander. He also was in charge of Americanism and ROTC at Springfield High School in conjunction with the Post. He was preceded in death by his loving wife of 42 years, Alice; his parents; brothers and sisters-in-law, Jane and Cliff Titus, Bud Gerstner, Paul Pfenning, John Gerstner, Norm Gerstner, Bobby Gerstner and Ray Hansard. He is survived by his son, Mike (Diane) Driscoll; daughters, Patti (Paul) Riedinger, Lori (Dave) Breese and Teri (Jim) Windom; grandchildren, Amanda (Alex) Lindemann, Sean Driscoll, Dana and Cole Breese, Allie, Chad and Trent Windom; great-grandson, Noah Lindemann and another great-grandchild on the way; sisters-in-law, Dorothy Pfenning, Joan Hansard, Helen Gerstner, Kitty Gerstner and Mary Gerstner; as well as many wonderful nieces and nephews. Friends may visit at the Waterville Community Church, 8217 Dutch Rd. and Monclova Rd., Waterville, OH 43566, on Thursday, July 31, from 3:00-8:00 p.m. A Memorial Service will be held on Friday, August 1, at the church, at 10:30 a.m., where the family will begin receiving friends from 9:00-10:00 a.m. Entombment to follow at Highland Memory Gardens. The family would like to extend a special thank you to the staff at Hospice of Northwest Ohio, Perrysburg for their compassionate care. John J. Halleron “Jake,” 80, of Toledo, Ohio and Bayonet Point, FL, passed away peacefully from natural causes on July 26, 2014. John was born on December 18, 1933, to James and Margaret (Foy) Halleron, both deceased. He is preceded in death by his loving wife, Beverly Halleron; brother, James Halleron; his stepson, Leslie “Butch” Mahr. Jake graduated from Immaculate Conception (Darby) elementary, Central Catholic H.S. and, then Macomber H.S. He served in the United States Army from 1957-59. He was a member of the Elks in Hudson, FL and a member of the Toledo Sailing Club. Jake worked for CSX Railroad as a railroad engineer for 43 years. He originally served as a General Chairman of the Brotherhood of Locomotive Firemen and Enginemen, which later merged with three other Brotherhoods to become the United Transportation Union (UTU). He continued to serve as a General Chairman and eventually became a union organizer until his retirement. Jake retired from CSX Railroad and the UTU on January 1, 1996. He is survived by his son, Michael (Meagan) Halleron and daughter, Bridget (Larry) Seeman, children of Ursula (Nawrocki) Halleron. His 6 grandchildren, John “Jack” Halleron, Mollie Halleron, Ellery Halleron, Joshua (Kori) Seeman, Nathan Seeman and Maegan Seeman; as well as a great-grandchild, Isabella Seeman; stepchildren, Michael (Debra) Mahr, Deborah (Robert) Merritt and Lisa (Nick) Bland; step daughter-in-law Terry Mahr and 6 step grandchildren Michael (Jessica) Mahr, Jason (Josie) Mahr, Matthew and Kimberly Merritt, Elizabeth and Thomas Bland and step great-grandchildren, Sophia Mahr, Bennett Mahr, Selene Mahr and Cash Mahr. He loved his many nieces and nephews greatly. Jake is also survived by his sister, Margaret (Peg) Heck, and loving friend, Donna Ryan. Friends may visit at the Coyle Funeral Home; 1770 S Reynolds Rd. on Friday August 1, 2014, from 2:00-8:00 p.m. where a Vigil Service will be at 7:00 p.m. Funeral services will begin in the mortuary on Saturday, August 2, at 9:15 a.m. followed by the funeral Mass at 10:00 a.m. in Immaculate Conception Church. Interment will follow in St. Joseph Cemetery in Maumee Ohio.